Sony’s presence in the world of studio headphones is a very balanced one. You don’t see them that much in the lower segments. With that said, Sony MDR 7520 are some of the best studio headphones you can get for less than $500 right now. Here’s what makes them great. In terms of design, Sony MDR 7520 looks and feels professional. That type of description has two contradicting meanings. On one hand, they are all-black with plenty of pleather all around, which makes them look like one of those cheaper sets. On the other, this type of appearance really does look stylish in its own way. What is immediately apparent is that Sony has used plenty of padding all around, especially on the headband. Speaking of which, the headband is a fairly simple one. Sony went with a tried and tested design despite it being aesthetically outdone by now. Even so, these headphones feel as sturdy as you could imagine. Nothing creeps nor is there any play aside from the places designed to have some. Lastly, the driver housing is mounted on an robust set of forks. There isn’t much independence of movement, but the clamping force is just right. Despite the unassuming exterior design, whats under the hood is a whole different story. Sony went with a set of 50mm drivers that pack liquid crystal polymer film diaphragms backed by neodymium magnets and copper voice coils. All of this amounts to an incredible frequency range that goes from 5Hz to 80kHz at 24 Ohms impedance and some 108dB of SPL. Those type of specs definitely put things into perspective. Even the cable looks over engineered, with its rugged plug and matching port which is heavily protected by the driver housing enclosure. 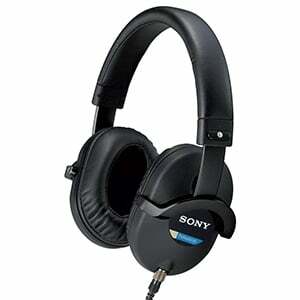 Sony delivers these with a single 10 foot oxygen-free, copper cable that is coiled for a bit of versatility. Even though there isn’t a single piece of velour to be found, the padding on both the headband and ear pads is plentiful and quite good at its job. The response you get from Sony MDR 7520 is nothing short of impressive. The amount of detail and definition makes them a perfect choice for professional use. But wait, that’s not even the best part. The sheer range these can cover is just out of this world. No matter if you are working with frequencies deep in the bass segment, mids or trebles, you will hear everything there is to hear. Sony really did an awesome job in this regard, even though they have sacrificed a bit of transparency to do so. Comfort is probably the biggest concern potential users have. All that pleather doesn’t look inspiring, however the real life performance paints a different picture. Both the ear pads and headband are comfortable to a point where fatigue is a non issue. The most you might have to deal with is some sweating in rooms without AC present. 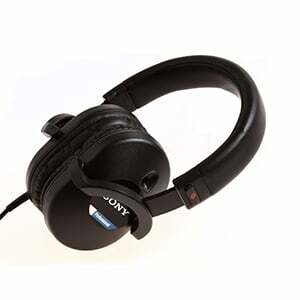 Sony MDR 7520 belong to the class of no-thrills, straight to the point studio headphones. Their performance is suitable for serious professional use without any sacrifices made on your part. Bang for the buck, you will have a pretty hard time finding something as good as these at the moment. 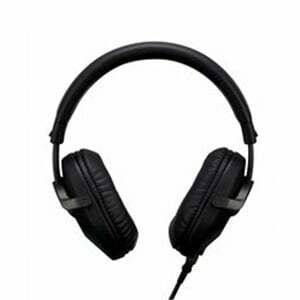 For more info about the Sony MDR 7520, click here.